The twenty-third book in the hugely popular Peter Decker and Rina Lazarus series from New York Times bestselling author Faye Kellerman It has been almost a year since Greenbury’s last murder. Detective Peter Decker has enjoyed the slower pace of his new job with the upstate police department. Then he receives a phone call from his captain. A male body has been found in the local woods. It appears to be a suicide – single shot to the head, gun by his side – but until the coroner makes the final determination, Decker and his partner Tyler McAdams must treat the scene as a suspicious crime. 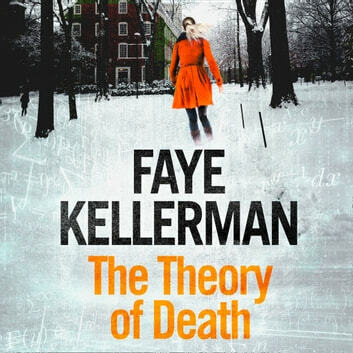 Identifying the body takes Decker and McAdams into the indecipherable upper echelons of mathematics at Kneed Loft College – a sphere of scheming academics, hidden cyphers and most dangerous of all, a realm of underworld crime where even the most conscientious students can become cold and calculating. It will take all of Decker’s wits and McAdams’s brains to penetrate enigmatic formulas and codes to solve a dark, twisted tale created by depraved masterminds.